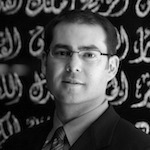 Joshua Landis is Director of the Center for Middle East Studies and Associate Professor at the University of Oklahoma. He writes “SyriaComment.com,” a daily newsletter on Syrian politics that attracts some 50,000 readers a month. It is widely read by officials in Washington, Europe and Syria. 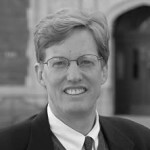 He is a frequent analyst on TV and radio, appearing recently on the Lehrer News Hour, Charlie Rose Show, CNN, NPR, BBC and is quoted regularly in leading newspapers. He was educated at Swarthmore (BA), Harvard (MA), and Princeton (PhD). He has lived over 14 years in the Middle East and speaks Arabic and French fluently. 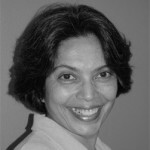 Saba Mahmood was a professor of Anthropology at the University of California, Berkeley. Her scholarly work straddled debates in anthropology and political theory, with a focus on Muslim majority societies of the Middle East and South Asia. Mahmood made major theoretical contributions to rethinking the relationship between ethics and politics, religion and secularism, freedom and submission, and reason and embodiment. Influenced by the work of Talal Asad, she wrote on issues of gender, religious politics, secularism, and Muslim and non-Muslim relations in the Middle East. 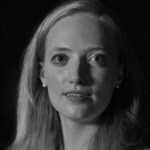 Hilary Kalmbach is the Sir Christopher Cox Junior Fellow at New College, University of Oxford. She is a historian whose work focuses on the changing relationship between religion and society in nineteenth- and twentieth-century Egypt and Syria. 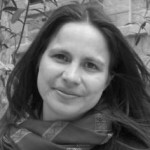 Her article profiling mosque instructor Houda al-Habash, Social and Religious Change in Damascus: One Case of Female Islamic Religious Authority, won the 2007 British Society for Middle Eastern Studies Graduate Article Prize. She is co-editor of the volume Women, Leadership and Mosques: Changes in Contemporary Islamic Authority (Brill, forthcoming 2011). Jihad Turk is the Director of Religious Affairs at the Islamic Center of Southern California. Born to a Muslim-Palestinian father and a Christian-American mother, Turk spent his college years traveling the Muslim world, exploring his Islamic roots. He spent time in both the Islamic University of Medina, where he studied Arabic and Islamic Studies, and Iran, where he studied Farsi at the University of Tehran and in Qum. He is also a Religious Director at the University of Southern California, where he advises and serves the needs of the Muslim students on campus. Stephanie Saldana grew up in Texas and received her B.A. from Middlebury College and a master’s degree from Harvard Divinity School. She is the author of The Bread of Angels, a stunning memoir of a year spent living in Syria. Fascinated by Islam and Eastern Christianity, she has lived in cities throughout the Middle East, including a year in Beirut working as a journalist for the English-language newspaper The Daily Star. She was a Watson and a Fulbright scholar and has won several awards for her poetry. She lives in Jerusalem.